If you’re frustrated with your weight loss attempts, you’re not alone. The National Institutes of Health estimates that more than two in three adults in the U.S. is overweight or obese. 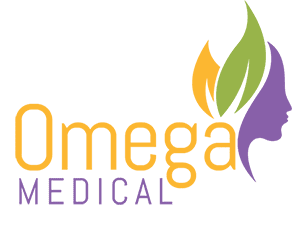 Dr. Amit Chitalia at Omega Medical proudly offers cutting-edge mesotherapy and lipotropic injections to eliminate excess fat and cellulite, and re-contour your body. At the Omega Medical offices in Florham Park, New Jersey, expert cosmetic physician Dr. Chitalia and his staff combine mesotherapy or lipotropic injections with lifestyle guidance to help you achieve your ideal figure. Call now to book a consultation or use the online scheduler. Mesotherapy is significantly less invasive than surgical liposuction and has no downtime. How does mesotherapy melt away excess fat? Dr. Chitalia injects a safe, food-grade emulsifier called PC/DC (50/42) into the layer of fat and connective tissue that lies beneath your skin. The emulsifier bonds with fat molecules in the treated bulge. Your body then absorbs and processes the emulsified fat, eliminating it through excretion. You may need a series of five or more treatments to achieve your ideal results. Lipotropic injections include fat-burning ingredients such as the amino acid methionine, a form of Vitamin B called inositol, and the essential nutrient choline, which is also related to the B vitamins. The injections speed up your metabolism and boost your energy levels by increasing your liver’s efficiency and controlling the distribution of cholesterol. Lipotropic injections help your body release and process excess fatty deposits in your abdomen, thighs, double chin, and other areas. Dr. Chitalia recommends combining lipotropic injections with a healthy diet and exercise regimen. Cellulite isn’t just a type of fat, it’s a condition that affects your skin. Cellulite dimpling begins in the fatty layer beneath your skin. When the fat cells expand, they create pressure on connective tissues called septae. The pressure causes the septae to stiffen and pull downward on your skin, which in turn pushes the fat upward. Mesotherapy injections break up the fat and revascularizes the stiffened septae. The rejuvenated tissues soften up, the excess fat is whisked away, and your skin softens and smooths out. How can I keep my new figure? If you have a history of yo-yo dieting, Dr. Chitalia helps you make lifestyle changes to better regulate your weight. A healthy diet and regular exercise are essential parts of benefitting from mesotherapy or lipotropic injections. To set up your first weight loss or cellulite-elimination consultation, contact Dr. Chitalia via the online form or by calling the friendly Omega Medical team.